In just three years Auckland’s waterfront will look dramatically different. 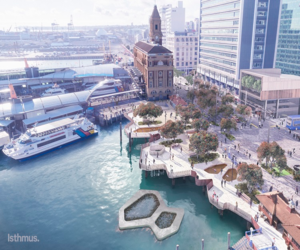 The Downtown Programme will be creating a generous and welcoming destination along the water’s edge that better connects people to the Waitematā Harbour and turns the Quay Street area into a more vibrant destination for all to enjoy. Councillor Chris Darby, who chairs the Planning Committee, notes the effects the change will have on the character of our city centre. “We’re creating a variety of distinctive, engaging public spaces that celebrate the confluence of people, land and sea. Our new downtown will be a series of destinations, thriving with life and enticing people to the water’s edge. “The design of the dramatic changes afoot will reflect our unique Auckland identity and celebrate our place in the world,” says Mr Darby. Key projects within the programme, which are currently going through resource consents, will be delivered by 2021.